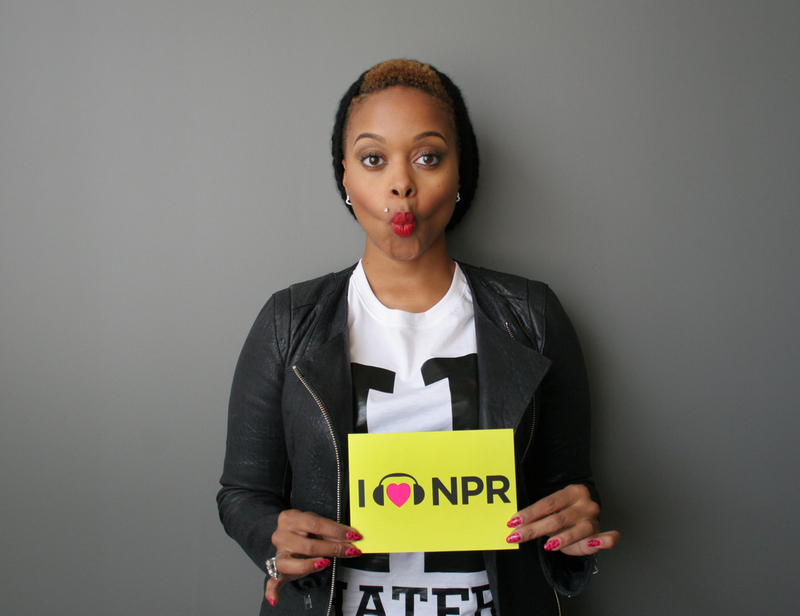 Chrisette Michele Loves NPR : NPR Extra It's been six years since Grammy Award-winning R&B artist Chrisette Michele came out with her hit single "Be Okay," and she's back with a new record. She spoke with Tell Me More about the album, Better, and couldn't resist showing her love for NPR on the way out. Now what's better than that? It's been six years since Grammy Award-winning recording artist Chrisette Michele came out with her hit single "Be Okay," and she's back on the scene with a new record out this week. Better is her fourth studio album, and the title alone says a lot about the R&B artist's renewed attitude towards her life and music. In an interview with Tell Me More, Michele discusses these changes, overcoming her shyness and her new vegan cookbook, Fat Vegan. "I'm in the best space emotionally and physically that I've ever been," she told Martin. Michele attributes part of her new attitude to a two-month "juice feast." "I found that there was this great connection between food and the soul, and so I started writing about it. Of course the record is not about food, but it is about healing and knowing there is healing for you and knowing that you can fall back in love." Her experiences with the pressures of the music industry have also helped inspire her current project, a book about becoming vegan. "You know, that's the lesson that I learned through this whole entire thing is I had the power to say yes and no and I will still be my amazing self, whoever that is." Before Michele left our DC headquarters, she couldn't resist showing her love for NPR. Now what's better than that?